Fresh, tasty… and a shark! We went to SM Hypermart yesterday to accompany my husband in renewing his driver’s license. My son and I decided to go to the food court to buy a smoothie.. And of course, when we saw this place selling live fish, we immediately went there for my son’s amusement. 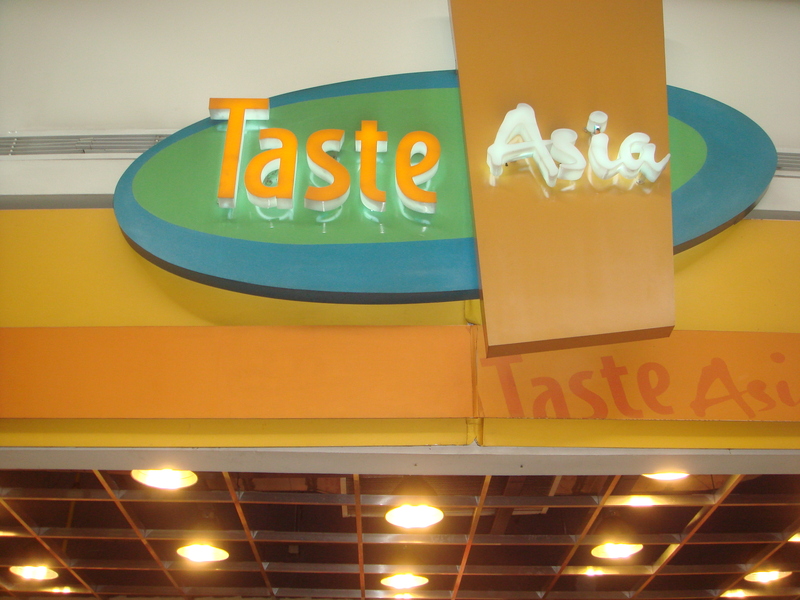 Taste Fresh is like a sosyal dampa. They sell fresh fish and crustaceans, and they can cook it for you as well. As my son’s eyes widen with amazement, I raise my eyebrows out of disgust. I wonder: Can you eat a stone fish? This is highly poisonous! In Japan, a person has to sign a waiver if they want to eat a blowfish in a restaurant. 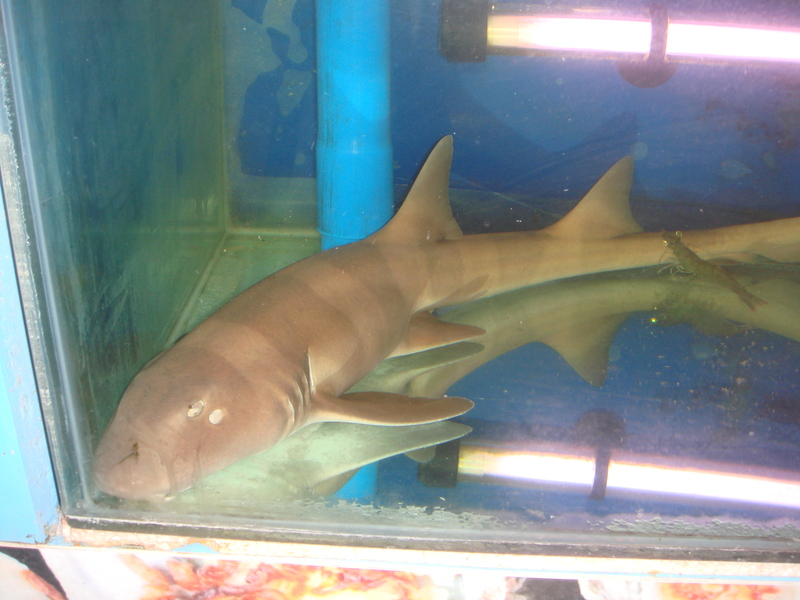 Then in a corner, a nurse shark! I feel sorry for the sleeping nurse shark. As a scuba diver, I know that these creatures can grow as big as 14 feet. 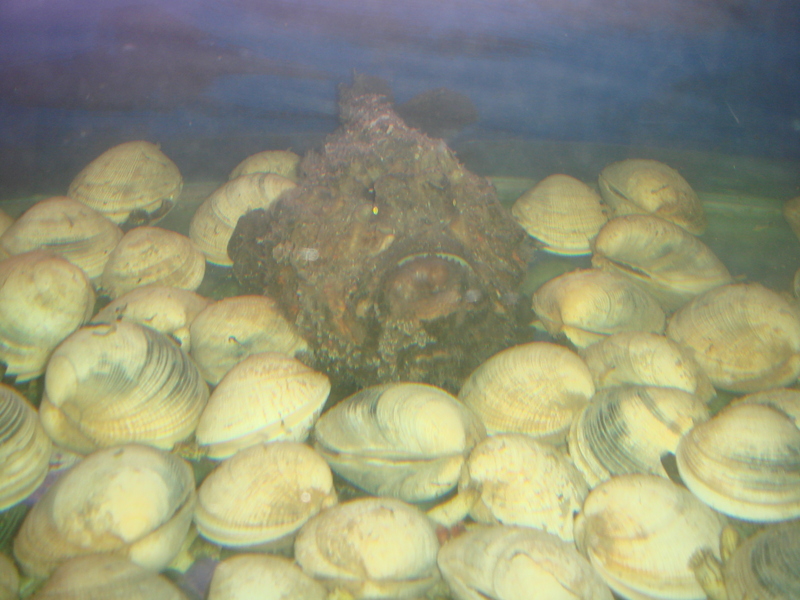 They are nocturnal creatures that hunt fish, mollusks, stingrays for food only at night. They have a certain eco-system under the sea. These non-aggressive creatures [swims away from humans] are hunted for their liver oil which is good for fuel, and their tough skin for leather. 4:40 ratio. According to Time magazine, an estimated 40 million sharks are killed yearly for fins or other purposes, while shark attacks on humans are reported at a maximum of four a year. 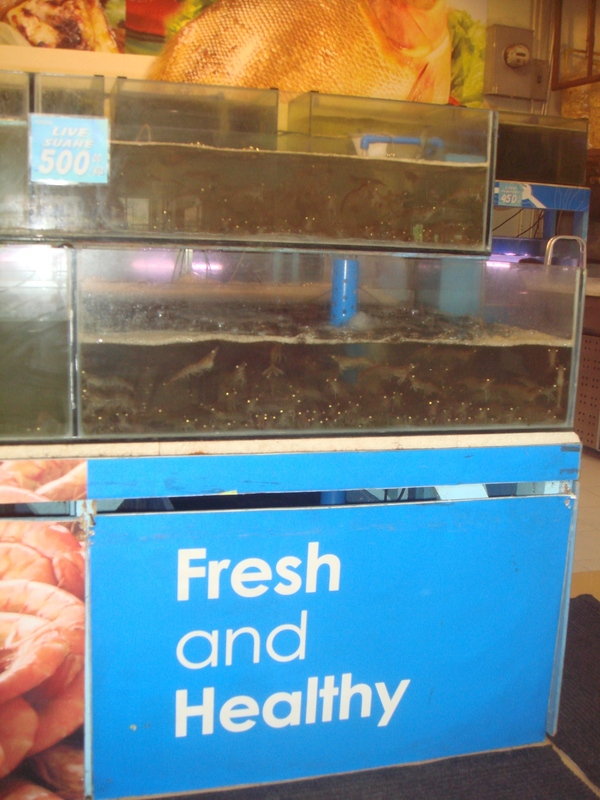 In this “sosyal dampa,” they sell it as food! The shop’s employee told me that a person bought a shark in the past to put in his aquarium – which i am definite the creature would outgrow, unless it contains at least 500 gallons of water or his aquarium is as huge as a swimming pool. 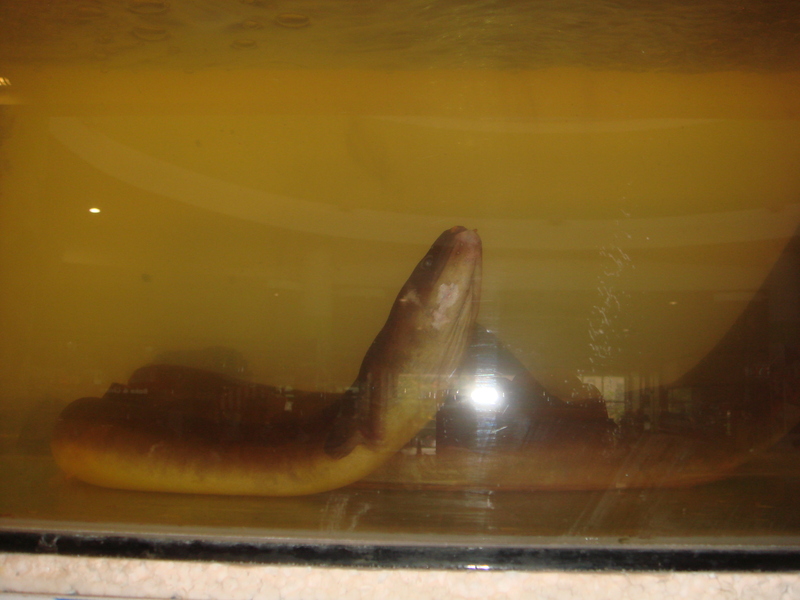 Although they are not YET endangered, reports the Florida Museum, its abundance in the littoral waters of Florida has decreased in the past decades. That’s in the US, what more in our country where illegal fishing is rampant! People’s taste in food have become more exotic: the more bizarre, or rare the ingredient, the better. Nurse sharks may not YET be part of the endangered species, but does that give you the ethical license to cook and eat it? Man’s greediness is really disgusting!